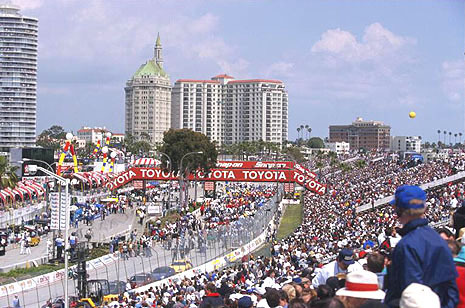 Airplane ads make your small business big & soar – take the next change at the Long Beach Grand Prix and advertise your business over 170,000 visitors. Has recession severely affected your business? Then may be it is time for you to makeover the image of your brand and the only way to do this is marketing in a catchy manner! When it comes to uniqueness and cost-effectiveness in marketing, airplane advertising is beyond comparison. Advertising is the only mode of communication between your company and your consumers to arouse their interest and enhance your products demand. If your marketing campaign is not able to obtain the desired consumer responses then its time to change your approach. Airplane banners were mostly used for personal messages and by the small businesses in the past but now larger companies i.e. United Airlines and McDonalds also have opted for this approach because of its countless benefits. Every small business owner has the same dream – to make his business grow and one day your small company gets listed among the big companies of the country. Because of the extreme competition in the market and many companies providing similar products and services, this is not an easy job. You must provide the best services at minimum cost but no matter how good your brand is, people can only know it via marketing. If you adopt the same marketing approaches as everyone else does, the chances of your dream coming true is scarce. Try something different, be the first to advertise your brand with an air ad! How is aerial marketing profitable for larger companies? If you do not know the answer, ask this question from Fox News, McDonalds or United Airlines or read the next few lines. A TV commercial can cost up to hundreds of thousands of dollars, especially during the peak time. But an airplane banner can catch the same number of eyes at a much cheaper cost. In addition to this, these ads have a much higher recall value as compared to any other mode of advertising. Tom King Aerial, located in LA, provides aerial advertising services nationwide with affordable rates. We conduct all forms of Aerial Advertising! We fly the Beaches, All Sporting Events, Concerts, Rush Hour Traffic. They are the only agency that provides all of the methods of aerial advertising: blimps, aerial banner flying, and skywriting and night show plane ads. Maximum result at the minimum price, what else do you want from your advertising campaign?